How do you “brace, brace, brace”? The NewsFeed recently released a picture of a proposed 23-inch pitch seat that resembles a saddle and which, so far, has driven interest from at least one U.S. airline, per the article. But most importantly, is it safe? I mean… There already exist bracing positions for fore-facing and rear-facing seats, with or without shoulder straps… But what if you’re not even “sitting down” in the first place? 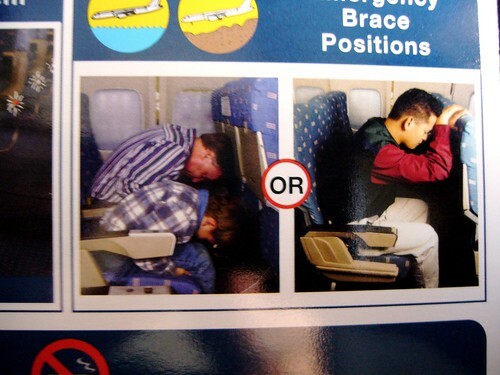 Previous Previous post: Ryanair – Business Class again?